- Small physics adjustments for improved feel. 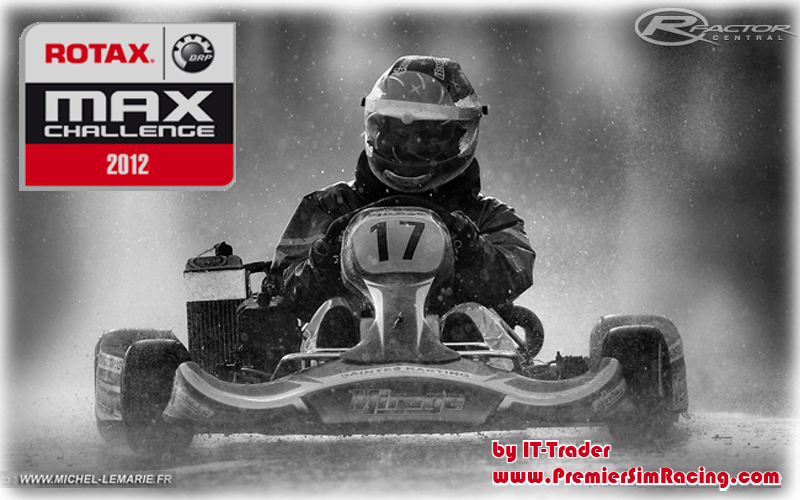 There are currently no setups for Rotax Max Challenge. Add a Setup. There are currently no car skins available for Rotax Max Challenge. If you are a painter you can share skins for this mod via the Car Skins area. Visit the Spray Booth for painting tips & tricks. Track objects are added or changed. This mod is so freaking awesome! It's exactly what I felt when turning on a go kart, please make shifter karts too! jajajaaa que ojete justo el miercoles voy al kartodromo de cuidad evita!!! gracias lo voy a practicar! Well few words about the mod itself. The karts look very nice, not so shiny than in some other mods. Few things I would improve though - make the shading under the steering wheel front cover, because a lot of people, me included, drive without visible steering wheel and that white column looks just too unreal. Then the seat position. I race karts myself and well there could be different opinions but I think the seat position must be a bit more forward. Like in SlimJim's World Karting mod. I race on a 27 inch monitor with optimal FOV of 59 and I just feel i'm sitting on engine, not in the seat. And 3rd, please make some specular/bump mapping on tires. They seem to be just black now. That won't give any performance hog on modern PC's, but it would look better, and more important, you could still see the tires on the tracks with dark tarmac surface. I havent got into virtual karting that much so i could go through some corners extremely close to the walls/tires without looking at tires. In the simulation i still have to look at front tires sometimes, it's quite different from real thing where I feel the size of the machine and can go without looking at tires. Driving-wise its very close to what I feel, and quite different at the same time, but probably thats the sim limitation, and also the limitation of view/ no rear sense etc. Sounds! Please change them I'm getting too tired of the same artificial sound going from one kart mod to another. Well, I saw Some1 released the rf sound editor recently, so I'll try to implement my own sounds one day. But have to say, however I love it as is, and will watch for further updates for sure. Please make it compatible with HD user interface: http://www.rfactorcentral.com/...=HD%20User%20Interface (i mean the torsion bar stuff etc). this mod is a blast!